New Jersey lawmakers could soon end drawn-out legislative seesawing on whether to legalize online gaming in the state — all with the hopes of getting the local casino industry off the ropes. After the Department of Justice clarification of a decades-old law, which had previously made intrastate Internet gaming questionable, ignited reactions from a handful of states, New Jersey Gov. Chris Christie chimed in Wednesday to support a bill idling in the legislature — The Press of Atlantic City reported. The measure, which was reintroduced in August by Sen. Raymond Lesniak, was tweaked after a veto from Gov. 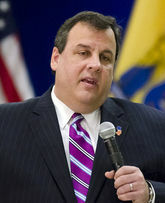 Christie earlier in 2011. Among his concerns was the legality of the plan. Despite anxiousness from Sen. Lesniak to fast-track the bill through the legislature and on to signature in the coming weeks, Gov. Christie reportedly said that he doesn’t want to rush anything. 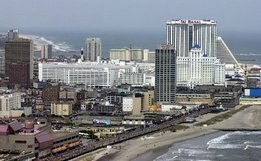 The current language says that all business operations for a web-gaming site would be restricted to Atlantic City — a provision that Gov. Christie wants — although all New Jersey residents could play. “The bill has a better chance of passing than last time because it satisfies the governor’s concern about ‘gambling houses’ all over the state,” said Card Player’s Publisher Barry Shulman. The state of Nevada is much further along with its push for a poker-only industry, but the Silver State would offer the game to anyone, residents or visitors, within state borders. Despite looking at a broad entry into web betting, New Jersey would stay away from online sports betting since the DOJ said the activity falls under the reach of the 1961 Wire Act. As part of persistent efforts to bring New Jersey gaming into cyberspace, the state had been looking at legalizing sports betting of any kind. However, early last month, even before the DOJ announcement, state lawmakers decided to drop the online component, according to the Associated Press. While historic discussions will continue in the State House, the possibility of massive gaming expansion reportedly could be up to a referendum, per the Garden State’s constitution. Voters approved sports betting in November. A hearing on the Internet gaming bill was originally scheduled for Thursday morning, but was removed from the agenda. A new legislative session next week will formally resurrect the bill, as Sen. Lesniak said he will reintroduce the measure again — The Star-Ledger reported.